I am a life-long resident of Albemarle County. I was educated in the County’s public schools and received a Bachelor of Science degree from Hampton University and Master of Education from the University of Virginia. I am highly qualified to serve on the School Board because of my 30 years of service as a public schoolteacher- 25 of those at Jack Jouett Middle and Western Albemarle High Schools. In addition to my classroom experience, I have served as the Superintendent’s Equity and Diversity Appointee on the Long Range Planning Committee for the past three years. As a committee member, I visited many schools within the division and saw the need for renovation and modernization at those facilities. I witnessed the complexities involved in producing the division’s budget. I realized the importance of negotiations between the Supervisors and the School Board after seeing the differences between the final budget passed by the Supervisors and the budget proposed by the School Board. In addition to my teaching and LRPC experience, I have also served as a community representative on division wide committees selecting principals and studying consolidation of the elementary schools in the Southern Feeder Pattern. 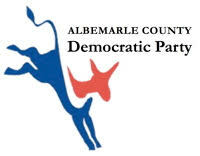 Albemarle County Democratic Committee Chairman Richard Brewer has announced the party’s endorsement of Graham Paige to be the Samuel Miller District School Board Representative. We are looking for campaign volunteers. Please contact Berlinda Mills or Frances Feggans if you are interested in volunteering. "The 100 BMCV mentors, Graham and Dr. Bernard Hairston, at the North Garden Community Day after a recent mentoring session"
I have been actively involved with many organizations within the Charlottesville-Albemarle area. One of the most important of these is serving as a trustee, adult Sunday School teacher and organist at New Green Mountain Baptist Church in Esmont. In addition, I am a member of several organizations which have given me the opportunity to further assist in the education of our youth. Among these are two fraternal organizations - the 100 Black Men of Central Virginia and the Grand United Order of Odd Fellows. The 100, through mentoring and other activities, is dedicated to narrowing the achievement gap between African-American males and other students in our educational system. As a National Officer and the Chair of the Education Committee in the Odd Fellows, one of my responsibilities is awarding scholarships to youth throughout the Order’s American Jurisdiction. Another organization- the MLK Commemorative Committee- plans the Martin Luther King Celebration for several churches in Southern Albemarle County and awards scholarships to students in the Monticello School District. I also serve on several Boards- the Scottsville Museum, Southern Albemarle Family Practice Advisory Board and the Esmont Community Committee.